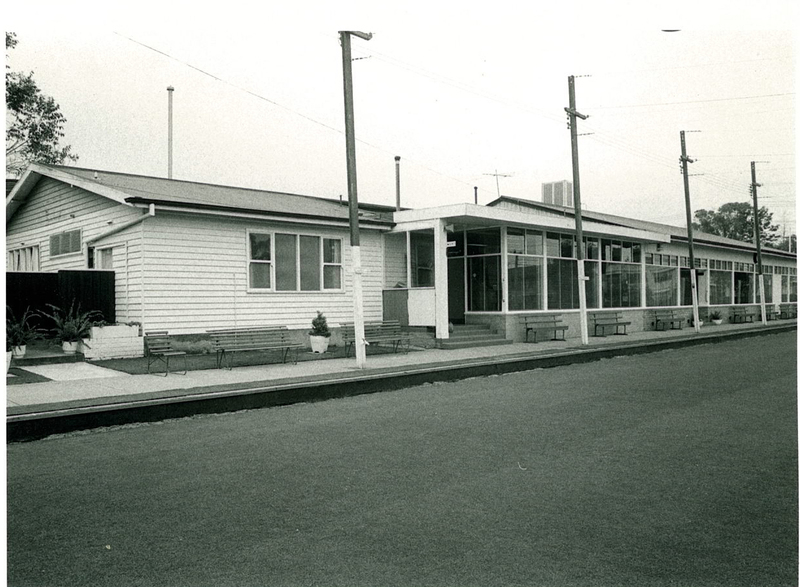 When we first Started looking at the History of the Auburn Bowls Club. We had a fantastic starting point in our Centenary book from 1986. At the back of that it there is a small sentence, about our future. In the 30 years that have passed we have seen the internet start off, and bloom, websites, and social media are now the norm. We can only hope we take what has been presented to us in the form of this club and advance further. All efforts to locate minutes of meetings of the Committee or of General Meetings of members of the Auburn Bowling Club in the years from its foundation to the turn of the century have been fruitless. Annual Reports for most years in that period are available and they, together with records of other organizations that shed light on the formation and development of the Club in the nineteenth century. The Booroondara Standard September 16 1887 reported. The Auburn Bowling Club held its annual general meeting on Friday last at Watts’ Hall, Auburn. It was determined that the annual dinner of the Club should be held at Anderson’s Cafe, Glenferrie, Thursday, the 22nd ·instant. September was thus a very significant month in 1887 for the members of the Club, and it was to be so until 1907, for all Annual General Meetings to that year were September meetings. A vote of thanks was passed at the meeting to the retiring officers, special mention being made of the services rendered by Messrs. Frank Stuart, F. Ross and Geo Wharton. More is known about Frank Stuart’s involvement in the business and political arenas than about his bowling prowess. Apparently his first love in sport was golf – he was a foundation member of the Victoria Golf Club – for the name of this first President of Auburn Bowling Club does not receive any special mention in records relating to the Club in later years. I may say that I suppose that I have done more for the club than anyone else. The project of its formation originated with me and the club was formed by Mr D. Moffat and myself at the cost of a great deal of labour. Allowing for the fact that one’s deeds are apt to take on increased greatness over time, the special acknowledgement of the services of Francis Ross at the first annual meeting apparently was warranted. Little is known of Geo Wharton other than that, like Francis Ross, his service on the Committee extended beyond the year 1886-87. The press report also included the names of the President, Secretary, Treasurer and other members of the Committee elected to office for the year 1887-88. Records of the Hawthorn Bowling Club reveal that many of those elected to office were previously members of that club and that some had played a prominent part in the administration of it. This was especially true of Augustus Fritsch, Cr. Jas Swan and Mr. D. McLaren Moffat, the person referred to in the letter written by Francis Ross in 1901. At the Annual Meeting of the Hawthorn Club on 31st May 1884, Augustus Fritsch was elected Vice-President, Cr. J. Swan President, and D. McLaren Moffat as a member of the Committee. At the following Annual Meeting D. McLaren Moffat was elected President of the Hawthorn Bowling Club and held that position until 11th June 1886. Auburn’s Annual Report for the year 1890-91 reports the departure from the club of “Mr. McLaren Moffat one of the founders and Hon. Secretary of the Club from its inception”. Why did he and other prominent members of the Hawthorn Bowling Club become founders of Auburn? The correct answer to this question may never be known. 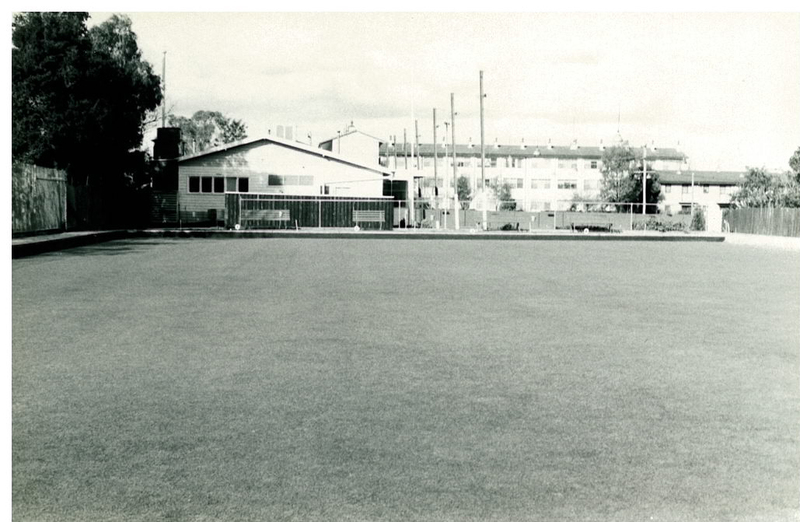 However, it seems likely that one factor contributing to the taking of the decision to form Auburn Bowling Club may have been dissatisfaction with the state of the greens at Hawthorn. In June 1885 Kew and Hawthorn Bowling Clubs began the practice of combining for their annual dinner. In the report on the first of these combined dinners in the Kew and Hawthorn Express June 12 1885, it was indicated that each of the clubs reported on their year’s activities to those assembled. The report of the Secretary of the Hawthorn Club stated that much annoyance had been caused by the frequent changes of caretaker (greenkeeper), the post at present being but temporarily filled. it was decided that no time be lost in securing the services of a competent man to take charge of the green. Street directories of the time indicate that a number of the founders’ residences were closer to the site of the new bowling club than to that of Hawthorn. Not all of Hawthorn Bowling Club members so situated chose to change their membership to the new Auburn Bowling Club in 1886; some refrained from doing so for two or three years. Dissatisfact­ion? Distance? Neither of these? 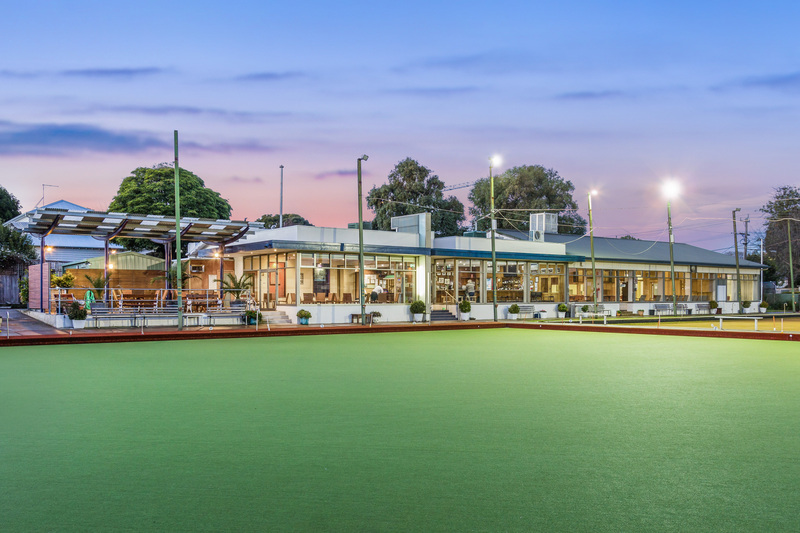 The motivation for the formation of Auburn Bowling Club is still a matter of conjecture. The newly-formed Club was fortunate in having amongst its members Augustus Fritsch who made available land fronting Fritsch’s Road (now Bowler Street) on lease. Details of the lease are not available but the generosity of Mr. Fritsch in “giving us the use of the land free of rent for the year” is acknowledged in the Tenth Annual Report presented in September 1896. To the young club faced with difficulties in the dep­ression of the nineties this was no small gift. The Thirteenth Annual Report of the Club presented in September 1899 recorded the death of Mr. A. Fritsch, “a much esteemed member”, and contained a notice to the members that the Committee h(ld successfully negotiated with the Executors of the Will of the dec­eased member. a lease for three years at six pounds ( £6) per annum and an under­taking to grant renewal for a further term of two years at the same rental, provided they are in a position to do so. Your Committee trust that every member will keep in mind the fact that the Club has now to pay a rental for the property. Thus it appears that Mr. Fritsch’s generous action of 1895-96 may have been repeated in subsequent years. to sell the Club the piece of land having a frontage to Fritsch’s Road of about 130 feet by a depth of 305 feet or that extent of depth which includes the land at present occupied by the Club for the sum of £ 162-10-0 cash down, this being at the rate of 25 shillings per foot for the Fritsch’s Road frontage – or – as an alt­ernative to give the Club a new lease for a further term of three years with the option of purchasing the same land at any time during the three years for the sum of £ 195 – being at the rate of thirty shillings per foot for the Fritsch’s Road frontage. The Committee resolved to recommend to the Annual Meeting to be held in September 1901 that the offer of purchase at the sum of one hundred and sixty-two pounds ten shillings be accepted, that the property be purchased in the name of trustees to be appointed at the meeting, that a sum of twelve pounds ten be paid out of funds in hand, that the remaining one hundred and fifty pounds be borrowed from one or more members willing to lend, and that the trustees give a mortgage over the property to one or more members lending the amount required. Interest to be paid on the sum borrowed at the rate of five per cent per annum. An alternative procedure for raising funds by issuing debentures of one pound each to members did not need to be considered. An offer received from Mr. John Holzer to lend the Club on a mortgage of the land for a term of seven years the sum of one hundred and fifty pounds at five per cent interest with the option of paying off each year so much of the principal as the Club may desire was accepted at the Annual Meeting 1901. Prior to that meeting the Secretary wrote to some Members of Parliament from whom a total of six guineas (3.9% of the £ 162-10 needed) was received. Apparently some or all of the retired members of the Club were also approached for donations, for the claim concerning his part in the formation of the club by Francis Ross (see above) was made in a letter of reply to one from the Secretary seeking contributions. At a meeting of the Committee on 14th October 1901 the Secretary reported that the purchase of the land had been completed at the price of one hundred and sixty pounds instead of one hundred and sixty ­two pounds ten shillings and the Transfer was now being registered. The reduced cost arose from the fact that the actual frontage purchased was one hundred and twenty-seven feet eight inches, not one hundred and thirty feet. No further interest in the purchase of land is evident until 1923 when at the June meeting of the Committee the President indicated that discussion with the owner of a block of land at the rear of the Club had revealed that he would be prepared to accept one hundred pounds for it. However within a few days the owner indicated that he was unable to sell the property. In 1927 a transfer of a small portion of land at the south-east corner of the property was made to the Hawthorn Council to facilitate the rounding of the corner at the intersection of the north side of Bowler Street and Munro Street. The Annual Report for the year 1927-28 contained a suggestion that the two blocks to the south end of the property which had not been a source of revenue should be sold. A goodly sum will result. Purchase a block to the west where the gymkhana was held and you will not only have better conditions but enough money to get out of debt and own your own premises. So ran the advice to members. (i) Should the vacant blocks at the south end of the property be sold? (ii) The possibility of purchasing land west of the green where the gymkhana was held. (iii) Should the whole property be sold and a site more suitable secured and so enhance the prospects of the Club? All of these issues were left over for further consideration. On receiving evidence that the owner of the land on the west of the green, Mr. Cave, was prepared to sell, a sub-committee negotiated for the purchase of land one hundred and eighty-six feet by eighty feet for one hundred and fifty pounds and paid a deposit of five pounds. Their action was endorsed by the Committee on 20th November 1928. On 26th March 1928 the purchase of filling and the spreading of same to meet the surveyor’s requests were authorized. The Annual Report 1928-29 contained a statement that the land had been purchased. However the purchase was not finalised until 1932.
the completion of the purchase of the land on our west side be left in the hands of Mr. Eadie; that the block of land be fenced. the extra rinks put down, and the lighting of the green be attended to. Three days later Mr. Eadie reported completing the purchase of the land for one hundred pounds. making a saving of forty-five pounds on the previous contract. Five pounds had been paid as a deposit and the remainder was to be paid by 18th June 1932. These amounts were duly passed for payment. During 1928 and 1929 enquiries from estate agents with regard to the possible sale of the blocks on the southern end of the property were met with the reply, “We do not wish to sell land in Bowler Street”. The decision to sell and pay off the mortgage was taken at the Ann­ual Meeting held on 25th July 1934. In the intervening years of economic depression every effort was made to secure revenue from the land and a deaf ear turned to the overtures from estate agents to sell it. In 1953 the Committee purchased a block of land running from Fletch­er Street to the club boundary for five hundred pounds on which a cottage was later built for the greenkeeper. In 1964 it was suggested that certain properties for sale in Roseberry Street be purchased for provision of further greens. However before the Committee could arrange a satisfactory source of finance for their purchase and secure an assurance of local government approval for the proposed use of these properties, they were sold. In 1968 concern about the possibility of future building of multi­storied flats on sites adjoining our western boundary led to the decision to investigate the possibility of securing one or more of these properties. By the 86th Annual Meeting, 3rd July 1972, the Committee was able to report purchase of Nos. 23, 25 and 29 Fletcher Street. No. 27 was not available for purchase.